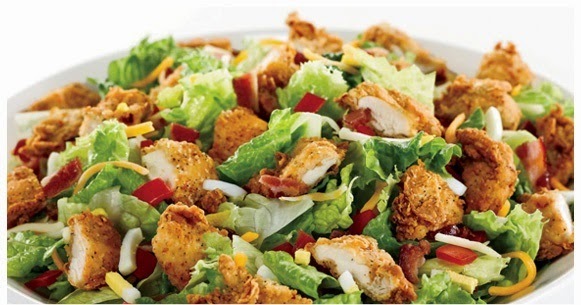 In a large bowl, combine lettuce, next 3 ingredients, and Honey Mustard Dressing, tossing to coat. Top each serving with 2 chicken tenders. In a small bowl, whisk together mustard and reamining 5 ingredients. Cover and refrigerate up to 5 days.